Bethany Coates is the CEO & Founder of BreakLine. BreakLine is an education and employment company that builds an affordable path to compelling careers. The company is currently focusing on careers for Veterans. Prior to founding BreakLine, Bethany was an Assistant Dean at Stanford Graduate School of Business (GSB), where she led global and social impact education. Her work included establishing Stanford business education throughout the world, including China, Europe, India, Mexico, and South America. Bethany co-led the creation of a GSB program that provides entrepreneurship education to Post-9/11 Veterans. She also developed case studies and curricular content used by Stanford GSB today. Prior to her time at Stanford, Bethany was a consultant at McKinsey & Co. a leading global management consulting firm. She earned her BA from Princeton University, and her MBA from the Stanford Graduate School of Business. Bethany and her team are truly making a difference in the lives of Veterans. Today she is sharing about her lessons learned in entrepreneurship, building a business, success stories, finding your path, and more. Hello listeners! It is Episode 21 and WWD is so excited to welcome Broadway Star Kelli O'Hara to the show! The Tony award winning actress from Elk City, OK has graced the stage in iconic productions like The King and I, South Pacific, Jekyll and Hyde, Nice Work If You Can Get It, and countless others. From Broadway to Opera at the Met to roles on the silver screen, Kelli has truly done it all and continues to be a force in the industry. Today, we're talking about her journey through the competitive world of show business, what it took to make it, being from a small town and moving to New York City, her most memorable roles, advice for those that want to follow in her footsteps, and much more. Listeners should also be proud that I didn't fan girl TOO hard over Kelli. Enjoy! I recently put it to my Instagram followers to nominate people they wanted to hear on the podcast. Many many messages later, an overwhelming number of people nominated Brittney Blackerby. Having met Brittney before and after receiving so many messages about her and her story, I knew she was the clear winner. A 2015 graduate of Henderson State, Brittney is currently pursuing her Masters in Counseling while enjoying married life and being a dog mom. Brittney is a former Miss Arkansas competitor and is announcing something very exciting about her platform, "Break the Silence: Preventing Child Abuse”, on the episode. Brittney is also sharing a raw account of her experiences as a child who suffered sexual abuse at the hands of a teacher. She is a shining light and an example to all that you need not be defined by anything that you have been through. Her story is remarkable and I am so honored that she chose to share it on What We Do. Check out Break the Silence! WWD is back with this week's exciting guest, Lauren Thompson! You can catch Lauren most mornings as a Co-Host on Golf Channel's Morning Drive where she has worked for the past 9 years. Lauren is sharing her secrets to success, how she balances having two little boys with a full career, getting up at 3:00AM every morning, what some of her most difficult TV moments have been and how she maneuvered out of them, how mentorship has played a role in her life, how she came to be a TV host, and much more! Big thanks to Lauren for making the time and sharing her wonderful insights! This week, Kira is mixing it up from her regular interview content and releasing another episode on a topic that she finds very relevant to our lives: public speaking. At some point or another, either for your job or an event or a competition, you will be forced to speak in front of an audience of more than one person. Regardless of if you’re comfortable with that or not, tune in to the podcast for Kira’s musings on public speaking, tips and tricks, ways to build your confidence, how to manage nervousness, her pet peeves and personal struggles with nerves. Apparently American’s number 1 fear is public speaking, let’s fix that. This week's guest is one of my dearest friends and someone that I am so honored to have in my corner. Alexa Rogers graduated with a degree in business management, a Spanish minor, and an international business certificate from Arizona State University. She later went on to be Miss Arizona 2014 where she championed her platform of fighting homelessness for at-risk youth. With over 8 years of marketing & graphic design experience, she started Social Light Design where she creates custom Snapchat Geofilters and other promotional design material, as well as social media consulting. She believes that "What we do" with social media and branding can make a large impact on the community - both locally and globally. Alexa is a true representation of making it work and taking on that side hustle like a pro. We're talking about how to start your own business, being ok with your dreams changing, her tips and tricks for social media, some advice for any Miss America hopefuls out there and much more. This week's guest is someone that is so special to our host as a mentor and friend. Kelli Davis is the Director of Celebrity Relations for Children's Miracle Network Hospitals which means she is charge of getting the cause in front of celebrities, getting them on board to help market the cause, and she makes miracle moments happen for the kids of Children's Miracle Network Hospitals with their favorite celebrity heroes. Kelli is also the host of the Untold Miracles Podcast where she shares wonderful miracle stories and she is a motivation speaker discussing miracles, how to make them happen, and her own struggles with things like anxiety, depression, body dysmorphia and how she's overcome them. Please enjoy this emotional and inspiring episode! It's Masters week! For all you non-golf fans, basically this is the Kentucky Derby, Super Bowl, and any other big sporting event you can think all wrapped into one tidy Azalea covered package. In the spirit of The Masters, what better than to share my interview with someone who is truly making strides in the game of golf? What We Do is pleased to welcome the one and only Suzy Whaley. Suzy is not only a golf professional in Connecticut, a former LPGA pro, and an entrepreneur, but she is the first woman to ever be elected to serve as an officer of the PGA of America. This coming November, she will be the Organization's first ever female president. The decorated golfer is also a loving wife and mother and shares her stories of what it took to overcome obstacles, how she thinks the game of golf can grow to be more inclusive, tips for anyone starting their own business, her sales pitch to you if you are a non-golfer and are thinking about getting into the game and much more. Regardless if you are a regular golfer or you've never picked up a club, Suzy talks about major life lessons that everyone can learn from. Enjoy! What We Do is BACK from our two week hiatus! We couldn't be more excited to get back to work with our first guest: Maria Klawe. Maria is a renowned computer scientist and mathematician who champions initiatives on getting more women and minorities into STEM fields. 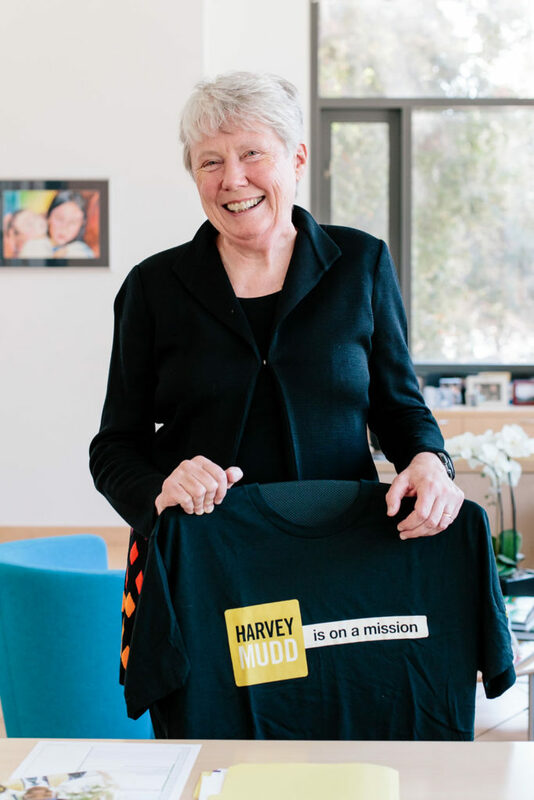 Among many positions, she previously served as the Dean of the School of Engineering and Applied Science at Princeton University and she currently serves as the first ever female President of Harvey Mudd College. Beyond her significant contributions to her areas of study and love of teaching and lecturing, the accomplished artist's main passion focuses on inspiring women to tackle their biggest academic dreams. We discuss her personal story and major challenges as a woman in her career field, her thoughts on how to get over the imposter syndrome of feeling like you are not good enough, advice to any students out there who might be struggling or feel like the challenges of an education outweigh the benefits and much more. Maria is a prime example of harnessing your talents, whatever they might be, for the greater good and making change in the world. What We Do is so honored to have her on the show. This week on What We Do, we're taking a quick 15 minutes to talk about something many of our listeners can relate to: The Hustle. Many of us have something we like to call a side hustle, our main hustle, or just a passion project that gets us excited. These projects are wonderful but they can be overwhelming. I think it's ok to get overwhelmed sometimes. I'd rather be too busy than not at all. But the lifestyle of a "hustle"can be grueling, lonely, and leave you feeling like you're not doing enough. Tune in to hear my thoughts and real life struggles on this.